Kansas City has multiple places to get started in figure skating. Figure skating and ice dancing are the two Winter Olympic sports that combine sport with art. The choreographed performances show not only elite skill and athleticism, but also artistry and emotion. Practiced inside on a standard sized rink, figure skating is a sport that is easily practiced in the Kansas City area. Kansas City Ice Center or Line Creek Ice Center for more traditional figure skating and lessons. Or, if you just want to try your luck on the ice as a beginner, you can start learning during the winter months at seasonal rinks like Crown Center Ice Terrace. Comfortable, tight-fitting clothes that will allow you to move freely without getting caught in skates. For beginners, lessons might help establish a basic skill set. Falling is inevitable, and even Olympic athletes fall often. Stay within your skill set to minimize injury. Find our entire series on living the Olympic dream in Kansas City at kcur.org/olympicdreams. 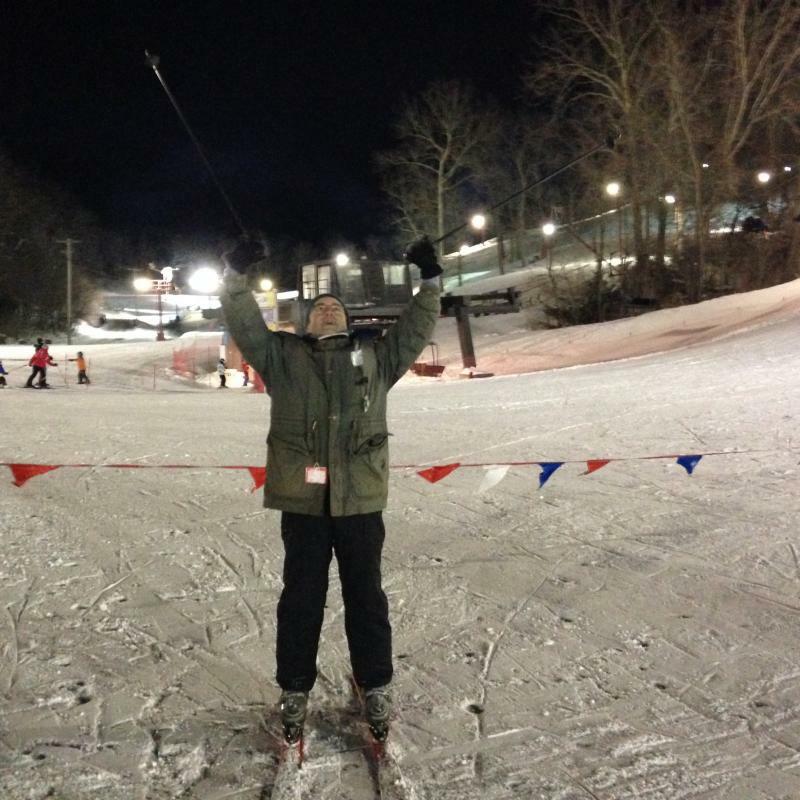 You will likely face two challenges if you want to try cross country skiing in Kansas City: the right weather conditions and available equipment. Cross country skiing is considered one of the most challenging of the endurance sports. Participants use skis and poles to move across snow-covered terrain. Traditional cross country skis are long and narrow; holding on to the poles, you push with one ski and glide with the other. All three sports use the same type of track, or “run,” but the sleds are different enough to categorize them each into their own sport. Alpine skiing is the most commonly practiced Winter Olympic sport. But, as Midwesterners our "alpine" options leave much to be desired. Still, if you want to feel the air through your hair as you barrel down a mountain on skis or a snowboard, we have some options. The mountain just won't be quite be the size of those found in Sochi. Snow Creek Park, Weston, Mo. Olympic Freestyle skiing is a form of skiing that encompasses many different disciplines, including: aerials, moguls and ski cross. For aerials, competitors ski straight down a mountain toward jumps that hurls them into the air. In the moguls competition, skiers race down a mountain, navigating around large bumps and perform small aerial jumps throughout the course. 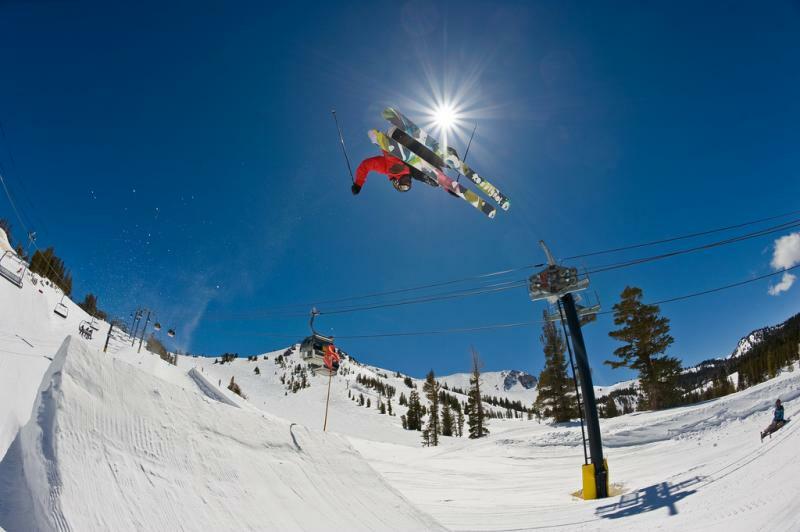 Ski Cross is similar but the ski course involves natural terrain as well as artificial features like jumps, rollers or banks. 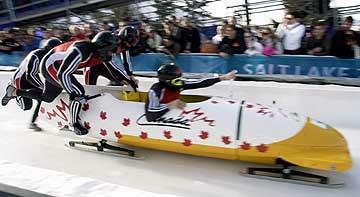 Speed skating is ice skating that falls into two basic categories — long track and short track. Long track races takes places on a 400m long oval rink with skaters competing in pairs. Short track involves four to six skaters on a track about a fourth that size. Kansas City doesn’t have an Olympic sized rink for even short track, but a hockey rink will work.